When it comes to gaming and movies, it’s a given that bigger is always better. So why limit yourself to a 24in or even 30in display, when you could go for something really, really big? If you consider that a 103in plasma TV will set you back around £20,000, spending a tenth of that for an image around the same size has to be pretty good value. And that could only mean buying a projector. Luckily there’s never been a better time to get your first model. 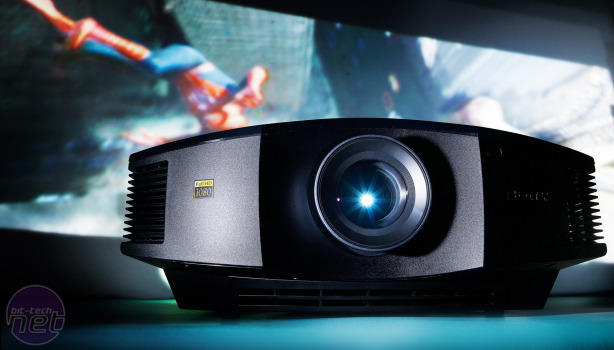 When full HD 1080p projectors arrived on the scene a couple of years ago they cost the proverbial arm and leg, but they’ve now dropped dramatically in price. Of all the projectors we've seen over the years, the Sony VPL-HW15 stands alone in its choice of technology. Rather than DLP or LCD, Sony furrows a lone path with its SXRD (Silicon X-tal Reflective Display), which is Sony’s variant of LCoS (Liquid Crystal on Silicon). SXRD claims to have a greater native black level than LCD, and has none of the potential downsides of its rivals, such as DLP’s ‘rainbow effect’ and LCD’s pixel grid. Until recently, SXRD used to be the preserve of very expensive projectors but with the VPL-HW15, Sony has brought the price down to a relatively affordable level at just under £2,000. However, if you’re looking for a compact, portable unit then the Sony won’t be much use. 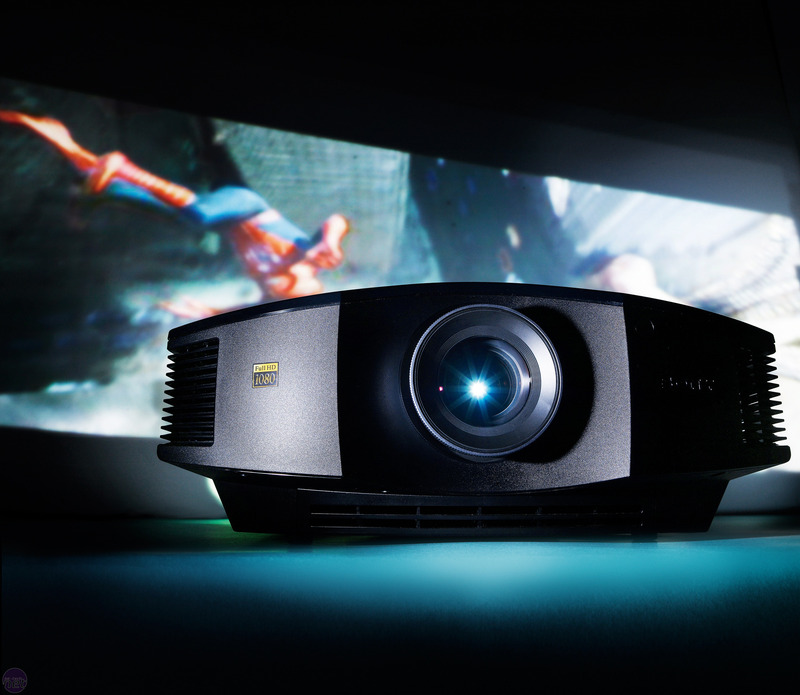 It’s the largest projector we've test, bulkier than even the awesome Panasonic PT-AE4000E. At least its bulbous curves and smooth plastic are easy on the eye. 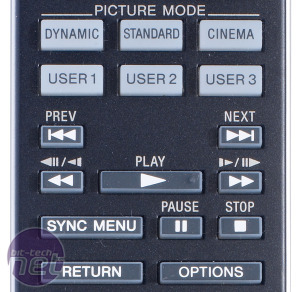 long remote control with its cool blue backlight is also a cut above the rest and lets you make key adjustments without having to bring up the menu. The menu system is clear and straightforward, and you can save any changes you make to one of three user presets, all of which are directly accessible from the remote. The remote will also let you control other Sony kit, and as you’d expect, for those looking to tweak to perfection, there are advanced controls for individually adjusting the red, green and blue levels. All the inputs run down the right-hand side of the case. An optical lens shift function is available via controls on the top of the case, and although this works well, the horizontal dial lacked precision. Setup is also assisted by two rotating extendable feet and a 1.6x zoom lens, which helped to fill our 82in screen from a distance of 3.3m to perfection. Should you need it, keystone correction is there too. The logical successor to Amazon's Echo. Can't wait for rumoured recovery.